At my present stage in life, looking forward to a quiet and uncomplicated existence, I had not expected to be suddenly confronted by a perplexing and wholly Shakespearean-type question: To blog or not to blog? Hitherto I had been far removed from the world of blogs and bloggers and in fact had only the faintest intimation of what the word blog meant, and to my innocent untutored mind in some respects it sounded like something to be wary of, to avoid, a kind of infection. I even had the reprehensible notion, based on my admittedly inferior knowledge of Hebrew, that it might somehow be an offshoot of the Hebrew word Balagan (mess) or perhaps of the French word Blague (joke). And yet, joking apart, I could not at the same time ignore a growing awareness that blogs and bloggers were everywhere to be found and that some degree of social acceptance and even admiration attached to the title blogger. And since I was not, in all due modesty, averse to the idea of social acceptance and recognition, I gradually embraced the possibility that I too might conceivably possess the right qualities and background that would entitle me to become part of the highly respected blogger family. And that was when, just a few months ago, the Times of Israel Blogs came into my life and in a sense changed it forever and threatened to deny me the comfort and peace of an unhurried and unharried daily existence that I had so been looking forward to and yearning for. And yet there was something appealing and attractive about the challenge of mental rebirth at such an advanced age that I fell for it, and into it, hook line and sinker, and, to be quite candid with you, I have not regretted it even for a moment. And for this divinely-inspired lapse I have to profusely thank the noble staff of the Times of Israel Blogs who have so generously welcomed my submissions and published them in their uniquely flourishing marketplace of ideas. Actually, at first I was doubtful whether they would publish such sordid attempts at humor as my story “A Whale of a Tale”, about keeping a whale as a pet in one’s bathtub, or even my take on the national elections with the entry of the imaginary Isranglo Party, and I wondered whether I could compete with all the other intensely gifted Times of Israel bloggers and their thought- provoking and highly original analyses of local and world events. 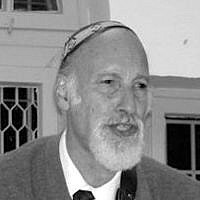 I was initially doubtful that I could be on a par with them based on my 50-odd years in the Promised Land, starting out as Oleh Hadash and today as Oleh Halash, even if I was London-born and Cambridge-graduated and a proud member of the Jewish race. But then it dawned on me that in my personal world of dreams and visions, of hopes, failures and disappointments, of the daily experience of living in Israel, there had to be quite a larderful of blog material that could be let loose on the unsuspecting blog-hungry public. And so it was. The blogs just poured out of me in a raging torrent as if bursting through the remains of a once nigh-impenetrable dam. Obviously, looking back on my life to date, there is not a little disappointment at failing to win the Nobel Prize for Literature, or the Eurovision Song Contest for Israel, or even the Wimbledon Lawn Tennis championship, and yet I feel that none of these can compare with the achievement of being a blogger, and not just an ordinary blogger but a Times of Israel Blogger!